So you booked your dream cruise to the Caribbean? That’s great! You and your travel agent have researched and planned to make your cruise the best. Your online check in is complete and you have awesome excursions booked. You’re looking forward to the couple of sea days and time to soak in the sun. As you’re getting ready to board, you check the weather one last time before you shut off your phone to disconnect and have fun with your family. Stop. You’ll still have an awesome time! There is a ton to do! Here are just some available activities. -Roam the ship and check out the beautiful details. How many Hidden Mickeys can you find? -Meet some characters! Check out your daily Navigator for meeting time and locations (though the surprise meeting is exciting too!). There are some ticketed character events as well such as Anna and Elsa. Stop at guest services if you weren’t able to grab a ticket to meet them when you did your online check in. -Send the kids to their respective youth clubs (adults can visit during open house hours). The clubs are a sight to see and have so many activities available. The youth staff is top notch and will keep the youngsters busy for hours. -Read a book on the verandah. Order a snack from room service and enjoy the sound of the sea and view. -Don’t have a verandah? Stop back in the room and check out all the movies available on demand on your TV. -On the Dream or Fantasy, play a round of Midship Detective Agency. A scavenger hunt across the ship. -Also on Dream and Fantasy, book some time in the sports simulator. Sports include: golf, basketball, football, hockey, and more). This is an extra cost. -Shop! In true Disney style, there is a huge amount of merchandise available (including a Tiffany store on Fantasy!). -Send the 13-17-year olds to Chill Spa. Several services are available just for the teens. -See the nightly show. Shows vary from ship to ship. All are amazing and some Broadway style (Aladdin is my favorite so far!). -Join a trivia or bingo game! Check your Navigator for location and time. -Head to Cove Café to have a coffee and pastry treat. -Buy a Rainforest Room pass. A less costly option than spa services. There are two hot tubs, multiple saunas, fund showers with different temperatures and scents, and AMAZING heated tile loungers. -Book brunch at Palo on a sea day. Palo is an adults only restaurant. Start with a mimosa and your server will guide you through the rest. Palo is one of the best dining experiences I have ever had. -Once you have brunch at Palo, you’ll want to have dinner too. The sommelier will help you with your wine selection and your server will attend to your every dinner need. A wonderful Italian dinner. A very relaxed and unhurried experience. Don’t forget to save room for the Palo chocolate soufflé! 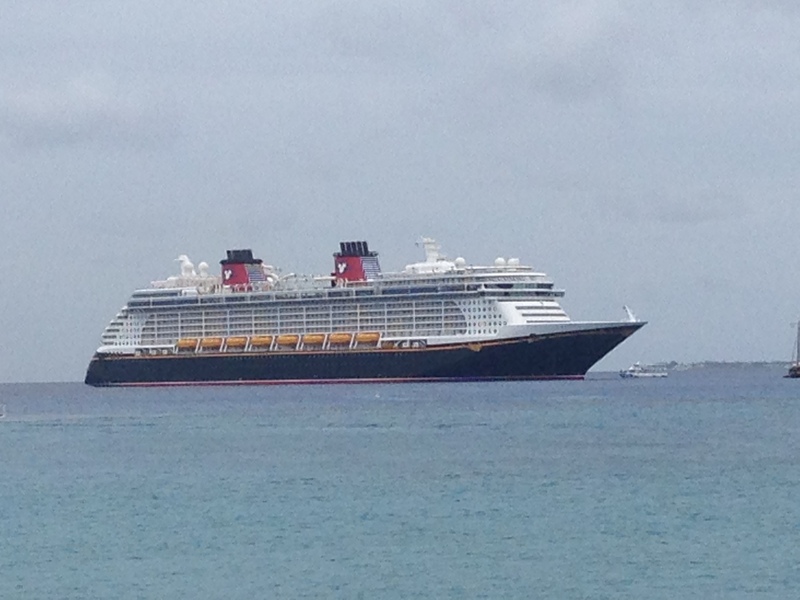 These are just a few of the many, many activities available on the Disney Cruise Line ships. Some have an extra charge; but lots are already included. See? The rain isn’t going to ruin your vacation. The rain gives you the opportunity to try lots of new activities that you may not have had time for in the past. A cruise is about the journey, not just the destinations.